Let us be Your Guide to Discover San Juan del Sur Real Estate! 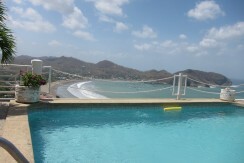 Buying property in San Juan del Sur, Nicaragua can have many benefits. Nicaragua is one of the few countries that allows a foreigner to legally own land. The country’s government supports foreign investment in Nicaragua, and therefore has made it easy for foreign investors to gain Nicaraguan residency. That means you can spend as much time as you like in your new home! Let us be your guide to discover San Juan del Sur real estate! 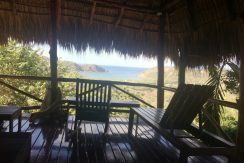 If you want to purchase houses, land, or businesses in the San Juan del Sur area of Nicaragua, please contact our office, we would be glad to help you. 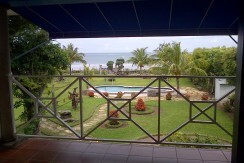 There is a lot of property for sale in San Juan del Sur. You can purchase a lot or buy various tracts of land that can be developed into a community. 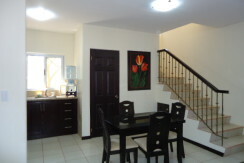 There are also many houses for sale in San Juan del Sur. Some of them are existing houses and some are ready to be built in planned communities. We can help you find your dream property, no mater what you are looking for! Feel free to visit our offices, at the south corner of the BDF bank on the main beach street of San Juan del Sur. One of our sales agents will be happy to discuss with you your desires and make recommendations from our over 300 listings. Our office is multi-lingual, Spanish, English, French, and a little Cantonese! 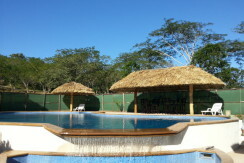 We specialize in helping you fulfil your dream of purchasing property in San Juan del Sur, Nicaragua. If you want to build, or need a building inspection, we have a freelance consultant working in our office, with a master’s degree in civil engineering, specializing in vertical construction. Ricardo Vargas performs building inspections, does design work, prepares budgets, and performs construction. 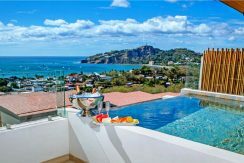 Throughout this website, you’ll find guides with information about the different communities around San Juan del Sur, monthly updates from the owner, Natalie Sullivan, as well as hundreds of property listings. Let us help you find the right property for you. Through price ranges, amenities lists, and location, we can start to gather a group of properties that might interest you. With so many properties listed, it can be difficult to narrow down the ones that fit what you’re looking for. Just enter your preferences in the drop down menu of the Find Your Property search area. Browse the properties that fit your criteria and when you see something you like, click the Add to Favorites star. You can continue browsing and we’ll save all your favorite properties. At any time, you can view your list of favorites, delete ones that you change your mind on, and continue adding others. Contact us at any time with any questions you may have. We’re here to help with this process. Through time, you will have a relevant list of properties that interest you so before you even come to Nicaragua to look around, you will already have an idea of what to expect. When searching through our website, be sure to use the keywords “Bargain” and “Reduced” so you don’t miss out on any of the amazing deals we have listed! View these properties that have been hand-picked by our Real Estate professionals.